Beggars All: Reformation And Apologetics: Luther's View of Esther: A Response to "Nazaroo"
While searching around for something else I ended up on BaptistBoard.Com, viewing a discussion thread entitled The Book of Esther and Martin Luther. I was surprised to find an Anglican physicist (named "Nazaroo") throwing me under the bus for my opinion of Luther's view of the book of Esther. He was doing so also with the help of Roman Catholic e-pologist blog entries. I pointed out here that Esther was a mistake for Esdras. I love finding little tidbits like this, because whatever Luther's view, such quotes show how poorly some of Rome's defenders do their homework. My Anglican detractor didn't mention this. He appears to think his champion simply was hit with a cosmic meatball of clarity one day and posted a correction to his previous years of error. "Nazaroo" Began by quoting Luther's Table Talk (via a Roman e-pologist blog entry). Perhaps he's unaware that the Table Talk is not a reliable vehicle for determining Luther's opinions or theology. I must sound like a broken record at this point: Luther didn't write the Table Talk. I was extremely gratified when Roman Catholic scholar Franz Posset recently stated, "the real distortion of the Luther image occurred with the Table Talk." Posset notes that the Table Talk should be read for entertainment rather than as a serious historical guide. "I am so great an enemy to the second book of the Maccabees, and to Esther, that I wish they had not come to us at all, for they have too many heathen unnaturalities. The Jews much more esteemed the book of Esther than any of the prophets; though they were forbidden to read it before they had attained the age of thirty, by reason of the mystic matters it contains." For instance, when our eyes run through the Reviewer's anthology, one of the most startling sentences is this: "The Book of Esther I toss into the Elbe." If a person familiar with Luther's style lights upon this sentence, he will recognise the great Reformer's unmistakable mark in the words, I toss into the Elbe; and it will be a pang to him to find Luther applying such rude words to any book, even the least important, in the Holy Scriptures. But he did not. 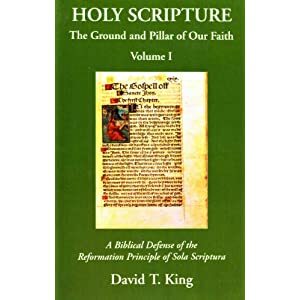 The Reviewer asserts that he gives us Luther's "own words, literally translated : "Mr Ward asserts that the Reviewer's name is "a sufficient voucher for the accuracy of his quotations:" and yet Luther never said anything of the sort about the book of Esther. The original of this "literal translation" is plainly the following sentence in Luther's Tabletalk, Das dritte Such Esther werfe ich in die Elbe: The third book of Esther I toss into the Elbe. Why the Reviewer left out the word third in his "literal translation," it is for him to explain. Were one to follow the example he sets in imputing the vilest motives to all persons in authority in the University of Oxford, one should call this a fraudulent imposition. Was he puzzled to make out what could be meant by the third book of Esther? and did he intend tacitly to correct the text? When words are made the ground of an accusation, they should be examined with scrupulous care; and if it appear requisite to alter them, this should be expressly stated. Here the next sentence plainly shews that a totally different correction is needed. "In the fourth book, in that which Esther dreamt, there are pretty, and also some good sayings, as, Wine is strong, the king stronger, women still stronger, but truth the strongest of all." I quote from Walch's edition, Vol. XXII. 2079, and have no means of examining older copies of the Tischredren; but the old English translation speaks of the third book of Hester. So that the error, gross as it is, seems to have belonged to the original text. For there can be no question that Luther had been talking, not of a non-existent third and fourth book of Esther, but of the book of Ezra or Esdras: though there is still much confusion in the report of his words; since the argument about strength does not stand in the fourth book, but in the third, the first of the Apocryphal ones; those of Ezra and Nehemiah being numbered as the first two. Thus Luther's words are nothing but a Lutheran mode of saying what Jerome actually did, when he cast these Apocryphal books out of his Version, as he says in his Preface to the book of Ezra: "Nec quemquam moveat quod unus a nobis editus liber est; nec apocryphorum tertii et quarti somniis delectetur; quia et apud Hebraeos Ezrae Neemiaeque sermones in unum volumen coarctantur, et quae non habentur apud illos, nec de viginti quatuor senibus sunt, procul abjicienda." Nor can anything well go beyond Jerome's contemptuous expressions about the same books in his pamphlet against Vigilantius (bi). Assuredly too the next sentence quoted by the Reviewer,— "I am so an enemy to the book of Esther that I would it did not exist; for it Judaizes too much, and hath in it a great deal of heathenish naughtiness,"—though here again the English Translation agrees with Walch in applying Luther's words to the Book of Esther, was in fact spoken of the Apocryphal books of Esdras. For the whole passage in the Tabletalk is as follows : "When the Doctor was correcting the translation of the second Book of the Maccabees, he said, I dislike this book and that of Esther so much, that I wish they did not exist; for they Judaize too much, and have much heathenish extravagance. Then Master Forster said, The Jews esteem the book of Esther more than any of the prophets." The combination of the book with that of the Maccabees, — which the Reviewer ought not to have omitted, — as well as Forster's remark, leaves no doubt that Luther spoke of the book of Esdras (bj). These blunders shew how unsafe it is to build any conclusions on the authority of the Tabletalk. The German text of the Table Talk quote can be found here. Hare's statement "These blunders shew how unsafe it is to build any conclusions on the authority of the Tabletalk" is on the mark! "Nazaroo" also argues (via the same Roman e-pologist blog article) from a quote found in Luther's On The Jews and their Lies, "Oh, how fond they are of the book of Esther, which is so beautifully attuned to their bloodthirsty, vengeful, murderous yearning and hope". I covered this quote here. This quote doesn't at all address the issue of canonicity, but rather involves the interpretation of Esther 9:5 ff. “...[T]hough I could rightly reject this book[Ecclesiasticus], for the time being I accept it so as not to waste time by getting involved in a dispute about the books received in the Hebrew canon. For you poke more than a little sarcastic fun at this when you compare Proverbs and The Song of Solomon (which with a sneering innuendo you call the “Love Song”) with the two books of Esdras, Judith, the story of Susanna and the Dragon, and Esther (which despite their inclusion of it in the canon deserves more than all the rest in my judgment to be regarded as noncanonical)." [LW 33:110]. Luther prefaces his comment by granting the canonicty of Ecclesiasticus so as not waste time on tangents with Erasmus. In both quotes above, It seems to me the apocryphal books (including Esther) are being compared to Proverbs and the Song of Solomon. I say this because his comment is a direct response to Erasmus, who indeed compared Proverbs and the Song of Solomon to the "two books of Esdras, the story in Daniel about Susanna and Bel the dragon, Judith, Esther, and several others." That is, Luther is simply repeating back what Erasmus said in his response. "Preface to Parts of Esther and Daniel.Here follow several pieces which we did not wish to translate [and include] in the prophet Daniel and in the book of Esther. We have uprooted such cornflowers (because they do not appear in the Hebrew versions of Daniel and Esther)" [LW 35:353]. Oddly "Nazaroo" goes on to argue Luther translated and included Esther in the canon so as to mistranslate it and use it against the Jews. That though is a blatant admission for Luther treating the book as canonical. "Nazaroo" in essence argues Luther didn't think Esther was canonical, but included it as canonical in his Bible for ulterior motives. Luther though could've just as easily placed the book along with other apocryphal books. this simply doesn't explain why Luther would go through the trouble of separating the spurious parts of Esther from the genuine. The information available on this subject is sparse, and I'm not so dogmatic as to insist my view is the only reasonable view. It could very well be Luther didn't think the book of Esther was canonical. I would though need some clear primary evidence as to this assertion. Amazing. It says: "Das dritte Buch Esdrae." If some Anglican is going throw me under the bus for my words on Luther / Esther by citing a Romanist source, it's more than a little comedic that it was I that set the record straight in the first place with the source the Anglican was using. You are not understanding correctly. That the Esther / Esdras quote may have had its genesis from a Protestant source is interesting, but irrelevant to the point being made. You guys have got to learn to look stuff up before you cite it, regardless of who started the ball rolling. It's that simple. If you don't, I'm going to keep catching stuff like this. I've caught Protestants mis-citing Luther as well. The focus though of my blog posts is catching you guys. You're the ones that are supposed to be "deep in history." Perhaps Paul you weren't aware of this: I began researching Luther stuff because I was on Internet discussion boards, and Luther was cited by Romanists... alot. Many of the quotes just did not sound right, and the one in question was one of them. So, I started looking them up. 10 years ago it was a lot harder than it is now. I had to first go buy the secondary source Romanists were citing, then I had to trace the material back to a context. Back then, Patrick O'Hare was a big deal. He was cited continually on discussion boards. Some Romanist websites were using his book (often not even giving him credit) to cite Luther. So, little by little, I began chipping away at all the bogus or out-of-context quotes some of your fellow Romanists had had a field day with. This Esther / Esdras quote was one of them. The trend (that used to be more prevalent) in cyber space was for Romanist pop-apologists to cite Luther without looking stuff up. In fact, some of your friends are (or were) quite guilty of this. I guess they figured some allegedly trustworthy secondary source quotes Luther, so that was good enough. Now with so much available on the Internet, I've noticed that some of your buddies have gotten a bit smarter. They're trying to actually cite Luther rather than Grisar, O'Hare, Maritain, Denifle, Janssen,etc. citing Luther. As to the defense of your friend, I have deleted your comments, because that name is not welcome here, nor are the comments. You now have been informed of this, so don't be surprised if your comments get deleted as well if you violate this simple rule. You'll notice that the majority of my post had nothing to do with your friend. If the Anglican hadn't been using that source, but had actually done his own research, it would not have been mentioned. When you end your posts "God bless", it sounds insincere. My own prior comments are hard to understand now that the comments from Mr. Hoffer and his friend are gone. I've deleted them, but please feel free to remove those entries completely, and this one as well. TF, I am sure that there is someone in world who calls an African American a "..." does so out of loving kindness, too but given the etymology of the word Romanist which was an invective invented in Elizabethan England and was abandoned even by them because it was so insulting and given that the term was then revived by KKK operatives and nativists in the 1870's to attack the patriotism of American Catholics, and how anti-Catholic writers use the term today you will never convince me that anyone can pretend in good conscience that the usage of such a term could ever have a benign connotation particularly when the person who uses it writes anonymously or pseudonymously. Mr. Swan: I do agree with the importance of citing Fr. Luther accurately. My criticism was directed at the manner in which the information was conveyed psrticularly you yourself link to the original source of the mis-quote as a Luther resource. Finally as for my use of "God bless," you should know that I pray that God grant everyone I engage in discussion with on apologetics issues health, wisdom, and grace when I do my weekly holy hours and during my recitation of the Liturgy of the Hours particularly when I have exchanged harsh words. My usage of the phrase is not only sincerely offered to you and others, it is a reminder to me to conduct myself worthily and in a charitable manner. I know that at times I fail to do so, but regardless of my failures, I know that God will make up for what I could not do. My usage of the phrase is not only sincerely offered to you and others, it is a reminder to me to conduct myself worthily and in a charitable manner. Why don't you put your high standards into practice over here.Explain to me why you don't chastise your friends as the mock the relationship between me and my father. I'm sorry. I don't buy the whole "God bless" explanation. If you want to keep company with such people, who can mock in such a way, and then come over here in shining virtue, you'll have to forgive me for being a bit skeptical. "Luther's Works: A Collection of On-line Resources For All Your Luther Needs" which at the least is an endorsement if not a warranty of its accuracy. I am so great an enemy to the second book of the Maccabees, and to Esther, that I wish they had not come to us at all, for they have too many heathen unnaturalities. The Jews much more esteemed the book of Esther than any of the prophets; though they were forbidden to read it before they had attained the age of thirty, by reason of the mystic matters it contains. LOL, long live the Table Talk! The Table Talk has spoken! By the way Paul, if you actually scroll through that link, it contains an entire section of Romanist links, and even a section of awful Romanist links. Research isn't simply looking at Luther's Works, it's also looking at the way the material has been used by different people. Hence, " A Collection of On-line Resources For All Your Luther Needs." There is a stray "if" in my last comment. Typo. I wanted to take a moment to address the comments made on the link that you sent me to. I did not notice the gentleman's comments comparing your father to the apologist-who-shall-not-be- named. I directed my comments to the author of the article. You called the commentator "my friend" but I would assure you that I do not know him either personally or in connection with apologetics. Since the gentleman does not share his personal information, I would not be able to say anything to him other than posting something publically. As you may know, I have written articles publically on my blog calling on all folks in their apologetic endeavors to be treat each other with compassion and gently as we are all called on to do in 1 Peter. On the other hand, given our interactions in the past, I do feel that I may properly consider you a "friend" or a brother in Christ despite the chasm the exists between many of our respective theological opinions which is why I felt inclined to interject my concerns here. Not knowing what your relationship was/is with your father, the comment made by that gentleman may have been unthinkingly cruel. If that is such the case, I would be happy to try to find out how to contact him personally and share with him your concerns. If he is a Christian and a gentleman, I am sure he would offer his apology to you. You have my e-mail, please let me know. As far as the other quote from Luther's Table talk you cited, is there an inaccuracy with that one too? Your history of the English language is wrong, your false accusations regarding our motives is wrong, and your attitude of "you will never convince me" makes any attempt to persuade you either to be charitable or reasonable in this regard a waste of time. I have prayed and will pray that God will overcome that "you will never convince me" attitude. I have absolutely no idea what you and Paul Hoffer are arguing about but I thank you for not deleting his post of 11:22 PM August 24. I did take your comment to mean "Paul Hoffer's comment seems racist even though he probably didn't mean it to be racist." It would be an injustice to Paul Hoffer to leave that impression just hanging there. As for Paul Hoffer's "friends;" if they are racists it is certainly reasonable for us to expect an explanation from him of his friendship with them. Let's play "Who has the strongest 'you will never convince me attitude'". Bottomline, knowing Luther, he could have easily said either or both. If the book did not preach Christ or have prophecies, etc. it just simply is not on par with those who do. This is a good rule.